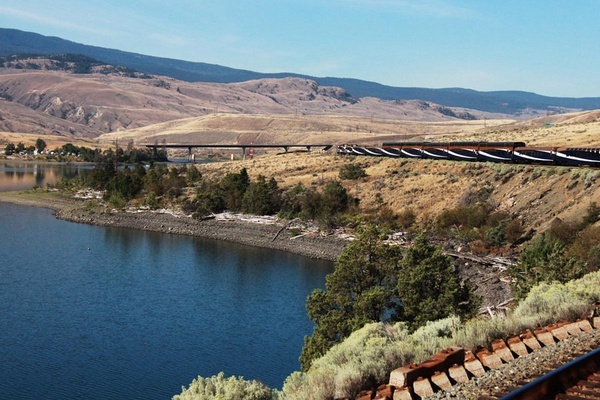 Popupla sent our intrepid intern-turned-assistant Becky Cheang on the Rocky Mountaineer's first train route into the United States from Canada, which kicks off service this month. It was a trip back in time to the glory days of luxury rail travel. The scenery was breathtaking, the food was great, and the bears were shy. 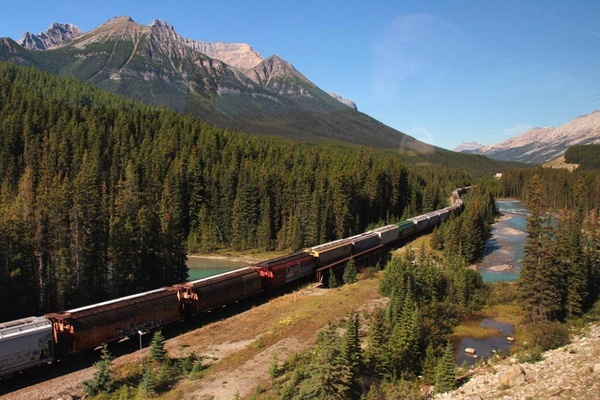 BRITISH COLUMBIA, Canada – I love trains. I first fell in love with them when I lived in Switzerland in 2010. (How can you not fall in love with trains in Switzerland?) 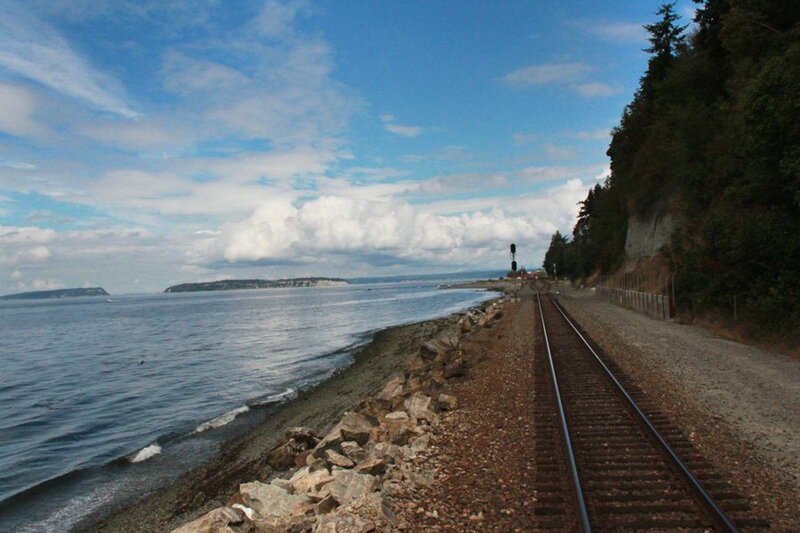 So when Canadian tour company invited Popupla on its inaugural train ride of its newest and first route into the United States from Vancouver to Seattle, it was an easy yes. Rocky Mountaineer has been running through the Rocky Mountains since 1990. Our route took us from Alberta to Washington via British Columbia. From the majestic mountains of Banff to the arid plains of Kamloops to the cosmopolitan ease of Vancouver and finally along the gorgeous Pacific Coast to Seattle. The Coastal Passage route officially lauches this May and will run through the season, which ends in October. My first sight of the Rockies. 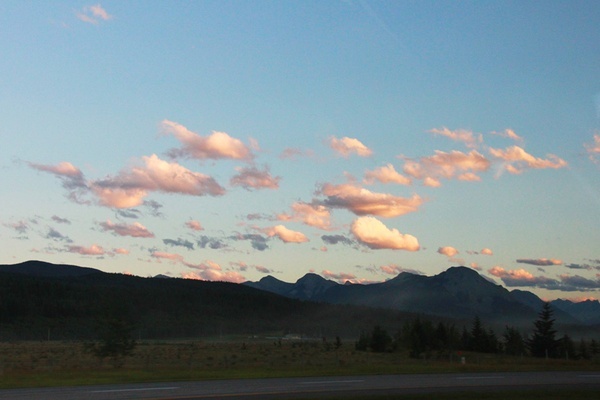 My first impression was the sunset drive from Calgary airport to Lake Louise. The mountain range in the distance made me feel like I was back in Switzerland, where the horizon is constantly interrupted by the Alps. 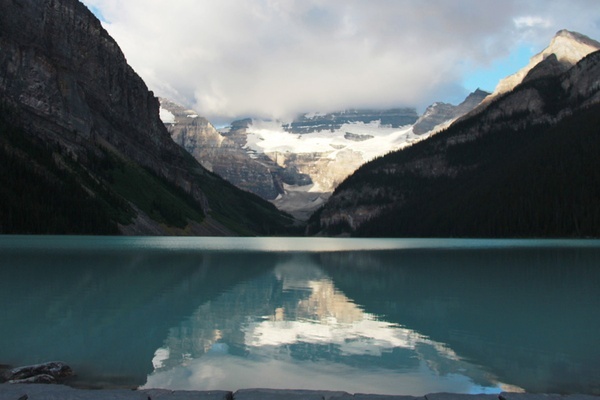 This photo of Lake Louise has not been retouched. It's really that green. Rocky Mountaineer only travels by day to take advantage of the scenery, so their trips include overnight stays at partner hotels at each stop. I spent two nights before the trip at , where the grand lobby, winding staircases, mountain-scene murals, and intricate chandeliers only added to the Swiss mood. My room was big-hotel h — gilded mirrors, deep mattress, French doors into the bathroom. The view is the main attraction here, and for good reason. Emerald-green Lake Louise is something out of a fairy tale. Its gorgeous color comes from unique particles in the melted glacier ice nearby that s the lake. Riding the gondola up Sulfur Mountain. Make the trek to the meteorological station on the other peak. The views are worth it. I spent the late morning on a learning about the indigenous Native American tribe the First Nations, spotting beaver dams, and falling in love with a gorgeous, centuries-old Hudson Bay coat (the First Nations used to trade beaver pelts for these, and this one was worth four pelts). 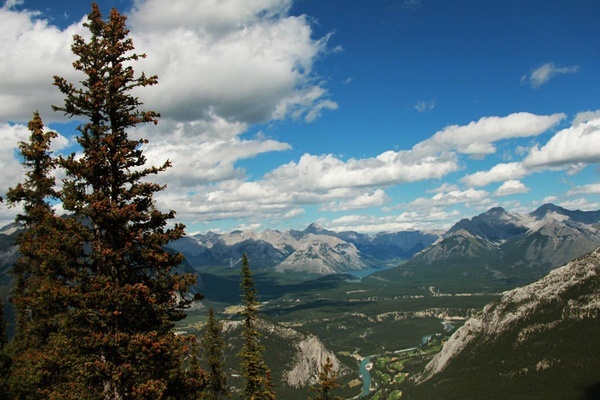 After lunch, we went up Sulfur Mountain on the for panoramic views of Banff National Park and the Rockies. Stunning, though the views are even better from the summit walk along the mountain ridge towards the historic Sanson's Peak Meteorological Station. 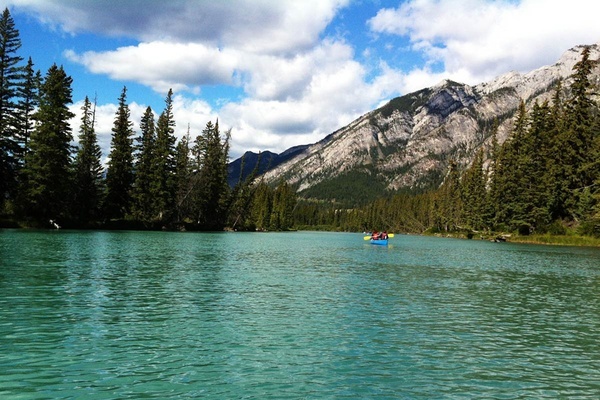 One day to explore is not enough for Banff, but I was glad for the introduction. (I'll be back.) The next morning, we were off to the station. Our four-day train journey was underway. Boarding the Rocky Mountaineer and a welcome toast before we depart the station. Trainspotting on the way out of Banff. I was riding the GoldLeaf service (Rocky Mountaineer's first class) in a double-decker, glass-domed coach. Four hosts rolled out a literal red carpet for the passengers, gave us a commemorative red maple leaf pin, and led us in their welcome-aboard toast with orange juice. (Super cheesy, but also kind of sweet.) The hosts laid out some ground rules, the most interesting of which was, "If you see a bear, shout. Don't keep it to yourself." Yay, bears! Other than potentially shouting, I wouldn't have to do too much hard labor on this trip. My luggage was delivered to every hotel along the way. Checking my bag at the station was just one of the many little details that brought me back to the early days of luxurious train travel. Not that I've ever experienced them firsthand. I am only 24. I could have easily spent the whole trip in my cushy seat upstairs enjoying the scenery while being served copious amounts of food and drink. But I liked the outdoor vestibule downstairs. I leaned over the railing and felt the wind blowing on my face as the train sped along at 50 miles per hour. Like I said, I am 24. 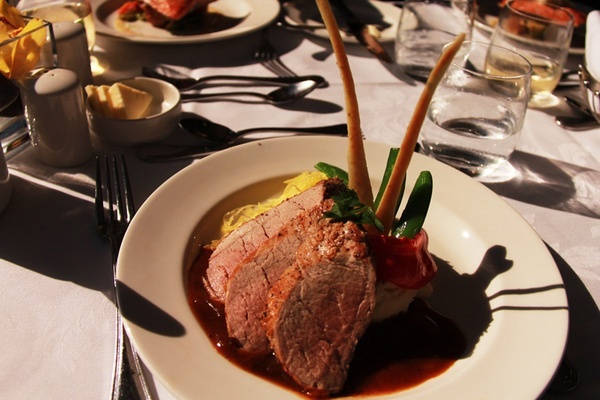 Alberta pork tenderloin, prepared and cooked on board. A post-lunch Caesar (their version of a Bloody Mary, but with oyster juice). The dining room on the lower level serves a la carte breakfast and lunch. Sitting down to multiple sets of flatware made me feel incredibly important and utterly underdressed for fancy meals served by a host and chefs. The meals were endless, as were the drinks. 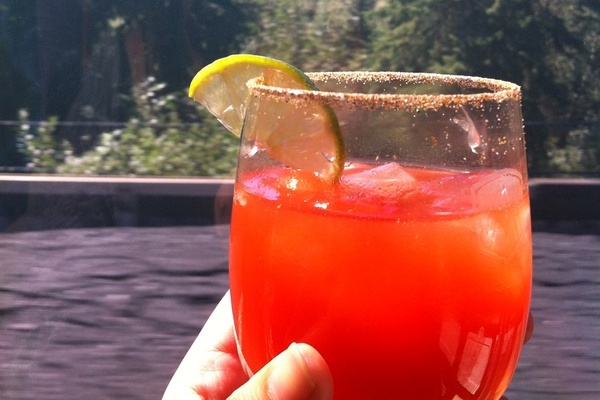 I tried a Caesar, the Canadian version of a Bloody Mary made with an added shot of oyster juice. It's better than the original. The Rocky Mountaineer en route to Kamloops. The scenery was, of course, breathtaking, and we were blessed with incredibly sunny weather the whole trip. 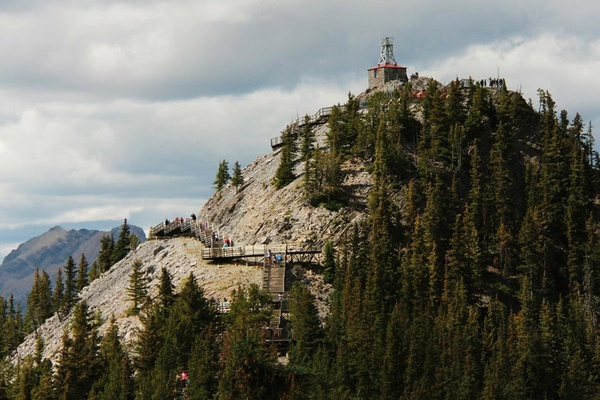 On the nine-hour journey from Banff to Kamloops, the landscape changed from deep valleys and never-ending glacier-fed rivers to dry, flatlands and rocky landscapes past the Thompson River, Rogers Pass, and the Spiral Tunnels, a figure-eight track through a mountain. I marveled at the ingenuity of the early explorer who looked at a mountain and decided, "Hey, let's blast a railway through that." We reached Kamloops at sunset, and I collapsed into bed at the hotel, wiped out from what in theory was a relaxing day of travel. We barely got a glimpse of Kamloops before we left for Vancouver the following morning. 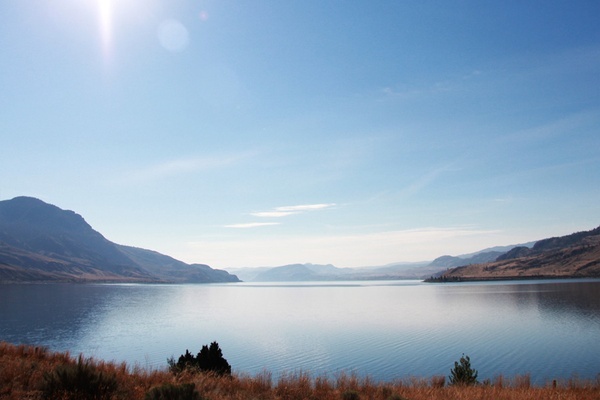 Kamloops to Vancouver was a four-hour trip from dusty desert into dense forests to , a gorge popular with bungee jumpers, and then into the industrial outskirts of Vancouver. 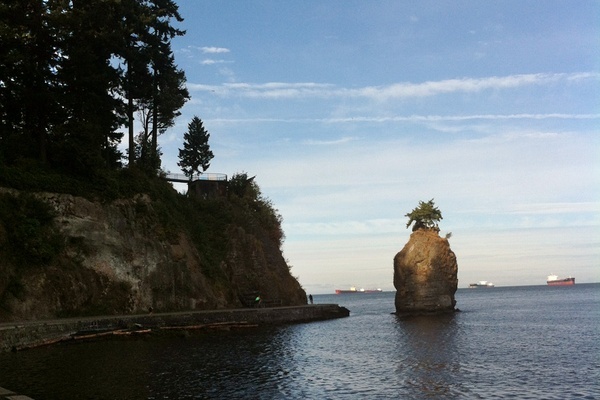 The best way to wake up: a morning bike ride around the Stanley Park seawall. 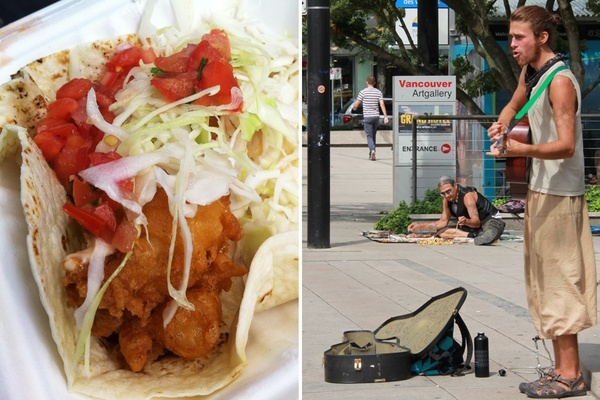 Tacofino's amazing fish tacos and street scenes around downtown Vancouver. We hit Vancouver late afternoon and checked into , whose grandeur befits its nickname, "Castle in the City." The hotel is located one street away from downtown's main shopping strip, close enough to the water for an early morning bike ride around the seawall. The ride was a definite city highlight, even if my already-sore-from-sitting-on-a-train-all-day behind hurt even more after an hour on a rented bike. But I needed the exercise because I spent the rest of the day eating on a tour of the city's bustling food truck scene with . Big discovery: I will happily cross the continental divide for the fish tacos at . That afternoon, we went on another food tour of the massive . Although not technically an island but rather a peninsula, the neighborhood is a favorite with locals and tourists for the market, the boutiques, and the art spaces. I had fantastic chai masala tea at , fell in love with the tiny paper and stationery store , and stocked up on maple syrup and foodie souvenirs at . 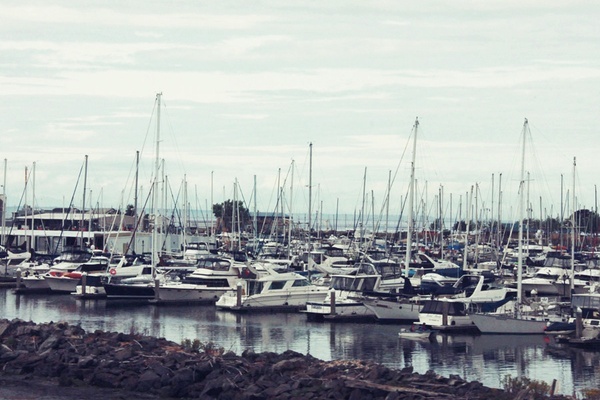 Boats along the Pacific Northwest coast. The final leg from Vancouver to Seattle was my favorite part of the trip. We were on a different train, this one configured with a caboose whose outdoor vestibule afforded me grand and panoramic, 270-degree views. I loved watching the train tracks unspool behind me. Breathing sea air after days in the mountains was invigorating. This was an unplugged vacation for me since I had no phone service for the majority of the trip. (I really need to upgrade to a better phone plan.) But this meant I spent my time doing what I do best: talking, especially with the staff, who know everything and then some (and were the only people on board within my generation). Zebulon, a ridiculously informative guest service manager, answered my barrage of questions about the passing trees and life on the rails. My fellow passengers were nice, if a little older by a few decades than the travelers I usually encounter. One woman was celebrating her 85th birthday; another couple, their retirement. Time flew by, and I was back on American soil. Back to our boring, efficient modern modes of transportation. Yay, the E train on the NYC subway! But that wasn't the biggest letdown. No, it was the bears. I didn't get to see one! Apparently, some passengers spotted a grizzly and forgot the shout-at-bear rule. I was, and still am, so annoyed. I suggested to Zebulon that they change it to a No-Shout-No-Ride rule and immediately evict anyone who doesn't share the bear. Then again, I can think of worse places to be abandoned. Choose your route: offers six different routes through the Rockies, varying in length from 1 to 24 days. I took the route. There are also additional packages that combines a cruise option. Choose your coach: GoldLeaf service costs up to $5,000 USD for a five-day package. Tickets can be booked years in advance. The other classes of service, SilverLeaf and RedLeaf, cost much less. 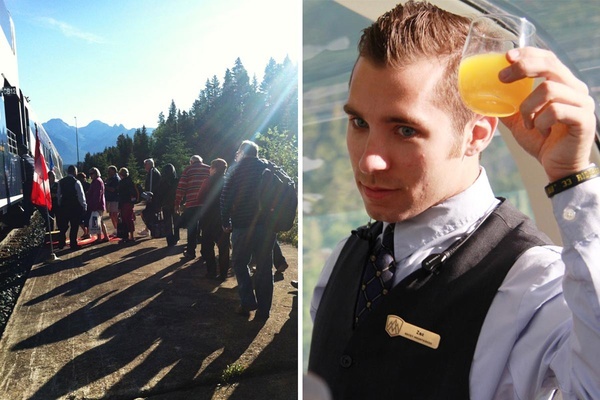 Rocky Mountaineer operates from April through October. Prices are lower in the off-season, but the best weather is in July and August.